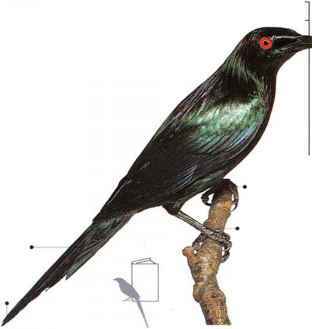 I he long, tapering tail of this glossy starling is often swung from side to side, looking as if it were loosely attached to the bird's body. Both sexes have long tails, but only the male has the dark green iridescence in its plumage, and the ruff of slender, spiny neck feathers. Occurring in both upland and lowland areas, the species is not usually seen in large flocks, normally foraging in pairs or small parties. 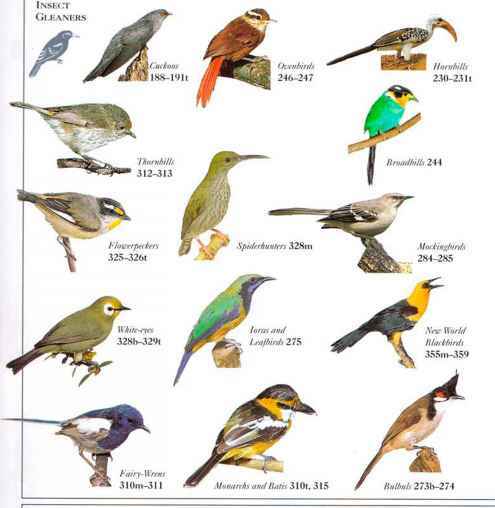 The birds frequent tall secondary woodland (regrown after forest clearance), forest edge, and gardens. I lere they search in trees and undergrowth for the small fruits that provide most of their food. The call is a shrill, descending, slurred note, and the song is a series of short warbles. 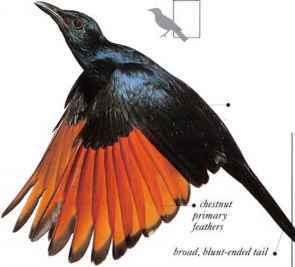 • NliST Unknown, but the species probably nests in cavities high in trees or in buildings.